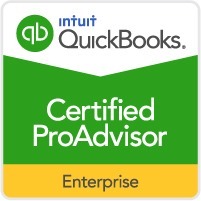 I’m sorry if you missed QuickBooks Connect 2014 or were unable to attend. I hope that won’t happen again this year! 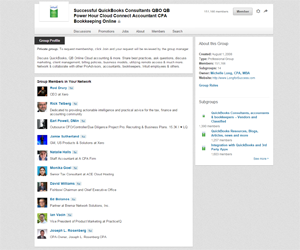 Expanding your knowledge and expertise of QuickBooks? 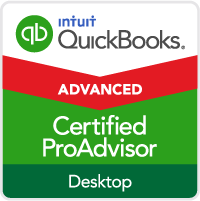 Learning more about 3rd party apps that integrate with QuickBooks? 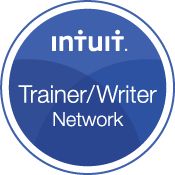 Networking and connecting with thousands of accounting professionals, small business owners, developers and Intuit employees? I’ll share my experience from last year and some thoughts about what I’m excited about for QuickBooks Connect 2015. The keynote speakers last year were amazing and truly inspiring and motivating. It is always great to hear Intuit’s founder Scott Cook and CEO Brad Smith. Plus, it was amazing to hear the experiences, lessons learned and insights from Bill Rancic, Magic Johnson, Ariana Huffington, Guiliana Rancic, Martha Stewart and more. There are lots of valuable breakout sessions available for accountants, small business owners and developers. You can see the sessions and agenda here: http://quickbooksconnect.com/agenda/ There are sessions on QuickBooks, practice management, value pricing, social media and many more. Here to There: The Accountant’s Journey toward Professional Greatness – we will be working on your business to help you achieve professional greatness. 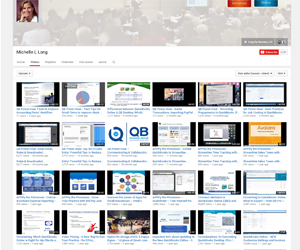 These sessions are packed with resources and tips you will be able to start implementing immediately. We will not just discuss theories; but we will do some exercises, learn about practical tips and resources to help you on the path to greatness. You’ll learn about Michelle’s “5 P’s to Professional Greatness: Planning, People, Processes, Product and Pricing”. Working Across Borders: Understanding Canadian Clients — This session will provide an overview of some of the factors that affect working with Canadian clients. It is targeted primarily for U.S. consultants who currently work with, or would like to work with, Canadian clients. You can select whichever sessions you want to attend and you are not limited to the accountant specific sessions (i.e. you can attend sessions for small business owners or developers too). Last year, the band was Train (Soul Sister and more) and it was almost like a private concert! They even allowed about 15-20 people to get on stage to dance and sing along with the band! With an open bar and great music, it was a great night of fun for everyone! The band for QB Connect this year was announced during one of our QB Power Hour webinars (Thanks Intuit!) and it will be the Goo Goo Dolls! I’ll admit that initially I couldn’t remember their songs. However, once I heard a few of them, then I remembered. Perhaps you’ll remember one of the biggest hits from the 1990s, ‘Iris’ from the soundtrack for ‘City of Angels’. Here’s a list of the 10 best Goo Goo Dolls songs along with their YouTube channel to refresh your memory and get you prepared to sing along! It seems like there were always unexpected delights – from the snacks everywhere (both healthy and not so healthy) during sessions to opportunities for book signings from the motivational speakers. I was thrilled to ‘score’ a ticket for a book signing from Bill Rancic (the 1st Apprentice winner). Maybe this year I’ll get a chance for a photo opportunity or backstage pass with some of the great speakers! 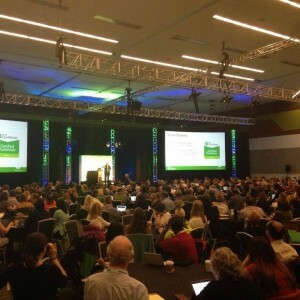 QuickBooks Connect 2015 will be in San Jose, California Nov. 2 – 4. 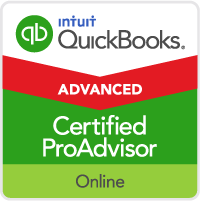 Use this code (QBCBIRD15) to get Early Bird Pricing for QuickBooks Connect but HURRY! It is a limited offer and the event will most likely sell out this year! Don’t wait – Register for QuickBooks Connect NOW, book your flight and make your reservations now! Do you wonder how small business owners are using social media and gaining a high return on their investment from it? All around you, owners of small businesses are leveraging social media with great success. What works and what doesn’t is still a bit of a secret for most small business owners. Learn from LinkedIn expert Michelle Long with a 137,000-member LinkedIn group, and online marketing strategist Sandi Smith Leyva as they share real case studies and affordable how-to’s for your small business. Sponsored by TSheets, this one-day, high-energy session is the first of our Ultimate Accounting vCon Intensive series. Intuit’s Average Billing Rate Survey is always a great source of information but only if YOU (and lots of others) take a few minutes to complete the survey. This year there are questions about accounting professionals billing policies and procedures and more. It will provide great insights into how accountants, bookkeepers, tax professionals, consultants and others are operating their business. Plus, there are questions for your clients / small businesses to provide insights into what they want from their accountants, their insights into working with us and more. We really need your help to reach small businesses. Please consider emailing your clients or contacts to ask them to complete the survey. The results will be insightful and shared publicly. PLEASE take a few minutes to not only complete the survey, but share it via social media, email, etc. with others. The more people who complete the survey, the more meaningful the results for all. Michelle and I are running a contest in conjunction with the Ultimate Accounting vCon. And we’re giving out cold, hard cash – up to US $1,000 — to the winners! The deadline for this contest is May 4, 2015. There will be 10 winners. Three winners will receive cash prizes. First place will win $1000, second place will win $500, third place will win $250. The winner will be announced during the Ultimate Accounting vCon. The odds of winning will depend on how many people enter. You must apply to be considered for this contest. Do this by simply sending an email with the items listed in #9 below to vconcontest@gmail.com at any time between now and the contest deadline. What is the one key tip, tool, or skill that Michelle or Sandi taught you? Describe where you learned it (program, recording, youtube video, article, etc.) HINT: It needs to be one clear thing. How did this idea change your revenue or profits? The more specific you can be, the more points we will give. c. What clients were impacted by this and how? You do not have to name names, but please let us know industry, size, location of clients. Be specific as possible. d. How did you change your business as a result of this tip, tool, or skill? Did you raise your price, implement a process, etc.? e. What intangible benefit did you receive from this tip, tool, or skill? How do you feel different after this change? How have these benefited your business or your life? Applicants must give their permission for us to use any or all of the content of their entries in marketing material for current and future vcons. If there is a client that wishes to remain anonymous, we can work with you on that. We can also mask some of the financial info but we need specific numbers in your entry or you will be graded lower without it. We will check with you before we publish anything. If you have questions, please send them to vconcontest@gmail.com. It’s one of the most exciting times in several decades to be an accounting professional. The convergence of several new trends is causing the right conditions for more profits, more challenging work, and more fun for accountants. Just a quick reminder: the discounted registration fee for the ultimate Accounting VCon ends today, April 1, 2015 at midnight PDT. If you’re already one of the 419 registered participants, thank you! We’re thrilled you’ll be attending in May. Sandi Leyva and I are announcing a new contest for accountants. We’re giving cash prizes to the top 3 winners along with a beautiful trophy and the title of Top 10 Ultimate Accounting Achievement in Service Award.